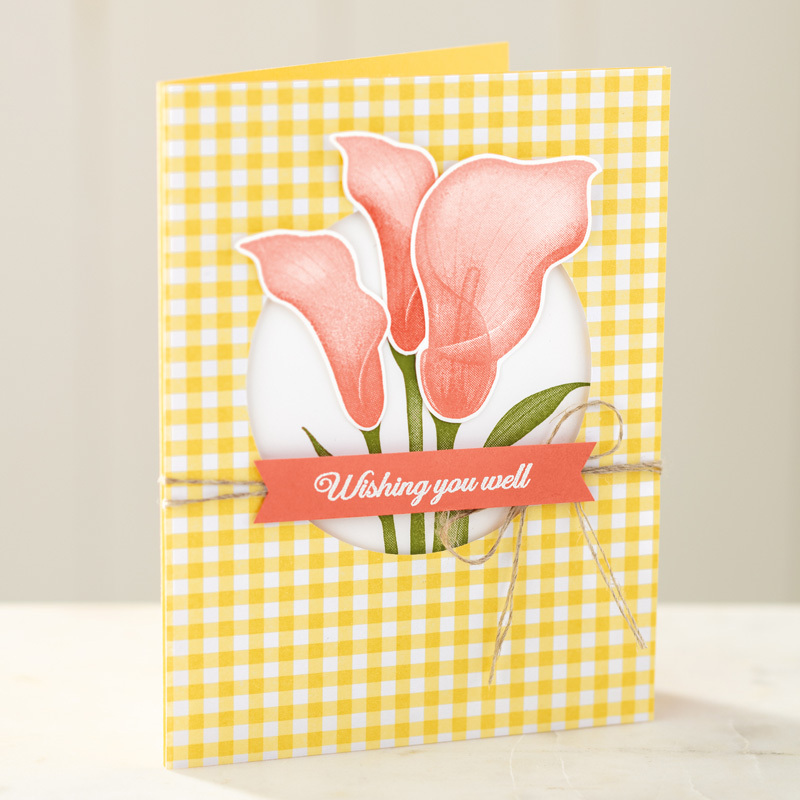 “Lasting Lily” is such a beautiful stamp set and it is one of the Sale-a-Bration choices. It is FREE with a $100 net order. 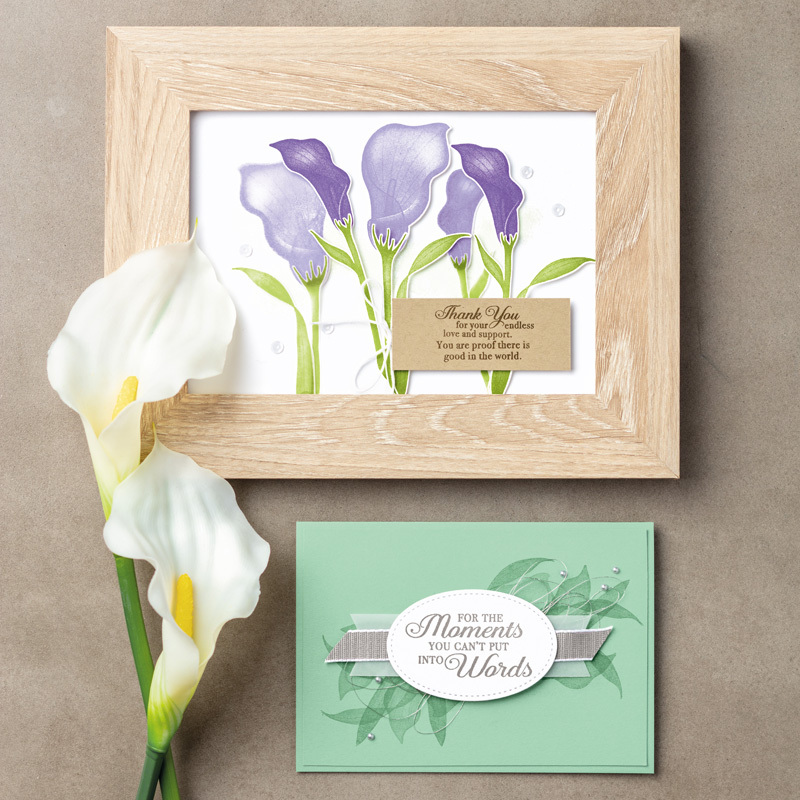 The set has a variety of sentiments for all occasions. The two NEW catalogs went LIVE yesterday! 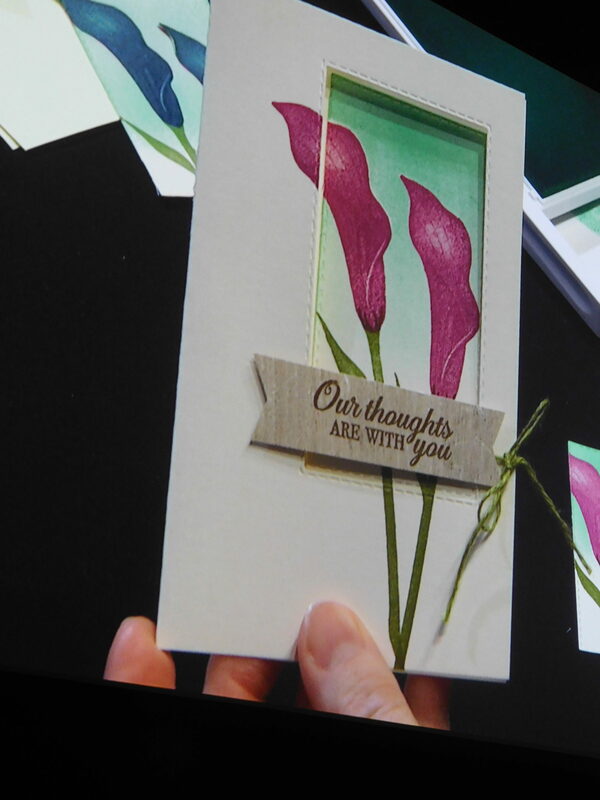 Lots of FUN new stamps sets, framelits and embellishments to play with. I look forward to seeing many of you on Sat., 1/5/19 at the Open House/StampaStack!!! It will be held out of my home and starts at 10 am. Please RSVP, so I can be sure to have supplies set aside for you. I grew up in Missouri and I have a lot of wonderful family members that still live there, so it holds a very special place in my heart. They left off the name of one of Missouri’s most famous residents, Harry S. Truman. Can’t leave President Truman off of the list! 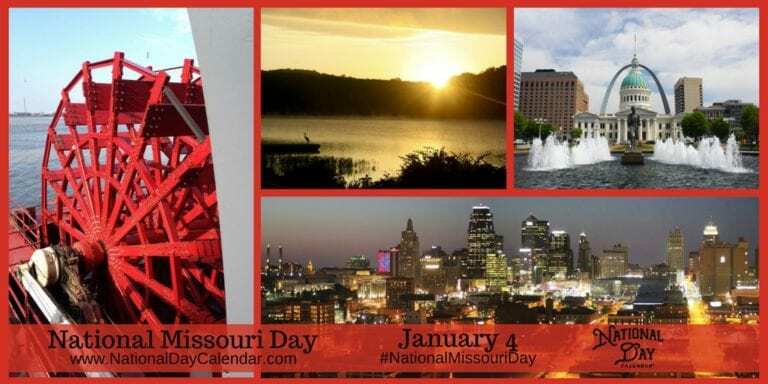 On January 4, National Missouri Day recognizes the 24th state to join the union. Known as the gateway to the West and nicknamed the Show Me State, Missouri is bordered by two great rivers: Mississippi on its eastern border and Missouri River for a portion of its western border. As a result, Missouri is ideally located as a hub of transportation and trade. Statehood came as part of the Missouri Compromise allowing Maine to enter the union as a free state and Missouri to enter with no restrictions on slavery. During the Civil War, Missouri was divided and sent men to fight for both the north and the south. The state boasts many cultural attractions from riverboat cruises to music festivals and tours of the largest brewing company in the nation. With a rich history and interesting people, Missouri became a stopping point for many migrating west. Some stayed, others moved on, some returned east. Some of those names you might recognize. Daniel Boone, Laura Ingles Wilder, Kit Carson, William Clark, Walt Disney, Scott Joplin, and Joseph Pulitzer all made Missouri their home for a time. 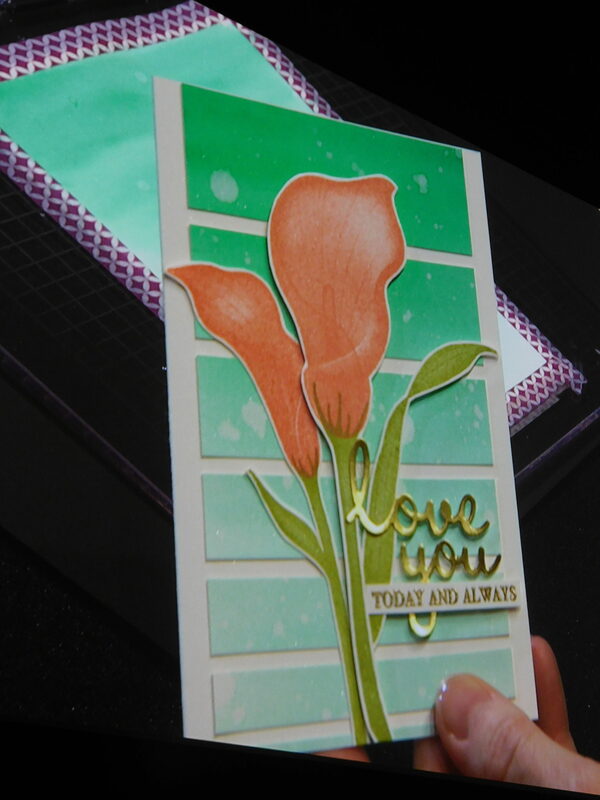 9 Responses to "#583 – Lasting Lily SAB – January 4, 2019"
Love the Callie Lily stamp set. I paint a lot of them. Sure wish I could attend your class this Sat. Will be thinking of all of you. Have a good day. 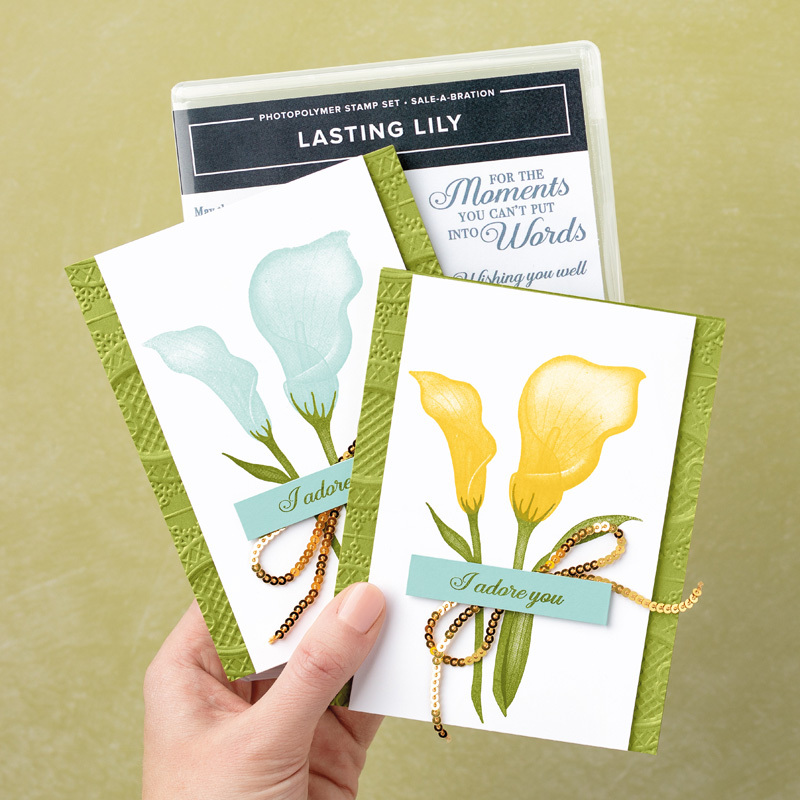 The Lasting Lily is a very pretty set, great for so many occasions. As soon as I saw this set, I had to have it. 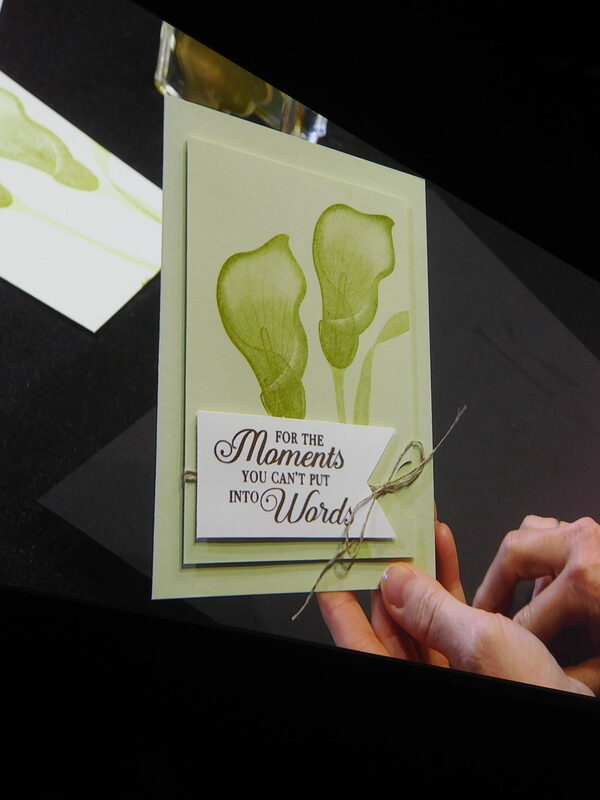 I love calla lilies and the sentiments just wowed me. Oh my gosh that is pretty! This set is on my list to buy. Very versatile. Beautiful samples. 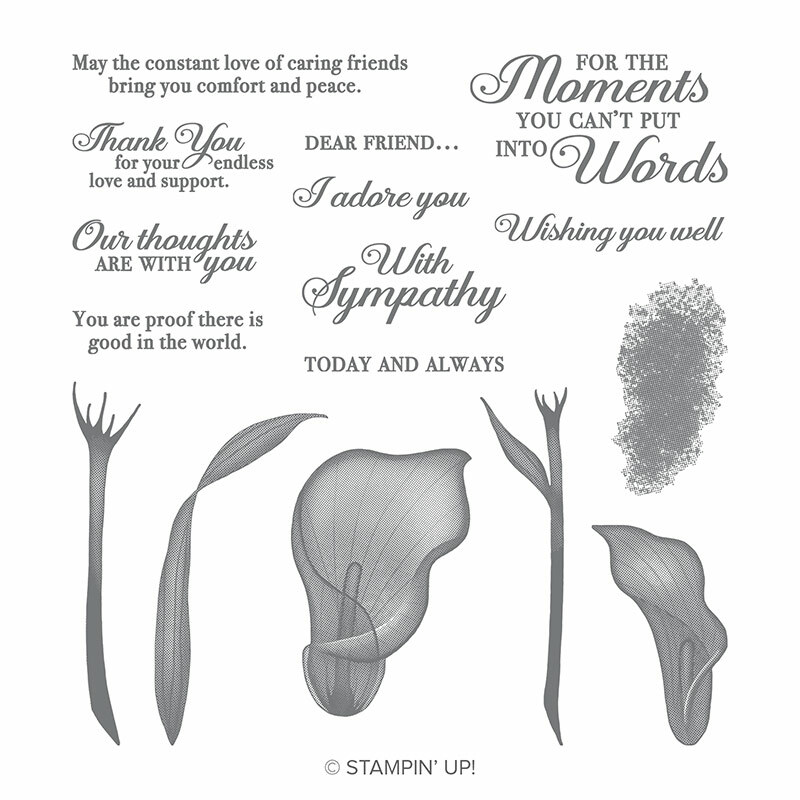 Lovely Lily cards what a great stamo set I have another Cala Lily set too from Stamp in up makes the most thoughtfl and elegant sympathy cards. So excited no snow so we get to come to your stamp a stack!